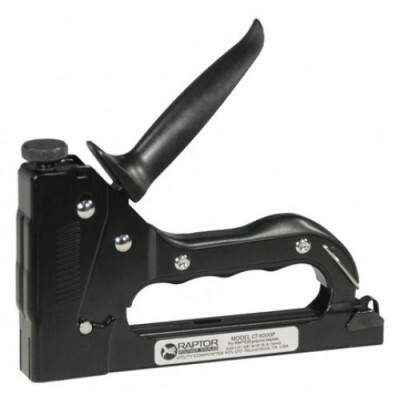 The CT-6000P Stapler by Raptor® drives polymer staples. This professional staple gun is ergonomically designed for comfort and ease of use. An easy squeeze handle allows for extended use without fatigue. The working parts are made of hardened steel and the hand tacker has a simple reloading system.